Nicola Sturgeon was accused of snubbing the Queen last night in a move to ‘eradicate the Union Flag’ in Scotland. The SNP government has ruled the banner should no longer be raised for the Queen’s birthday at dozens of public buildings. It had been hoisted at key official and heritage sites 15 days a year to mark royal birthdays and anniversaries. But a proposed rule change will allow it to be used only once a year, on Remembrance Day. The rainbow flag – the symbol of the gay community – will be flown for four days a year. Officials wanting to hoist the Union banner were warned they would need First Minister Miss Sturgeon’s permission. The decision, which she has ratified, was last night branded ‘churlish and stupid’. 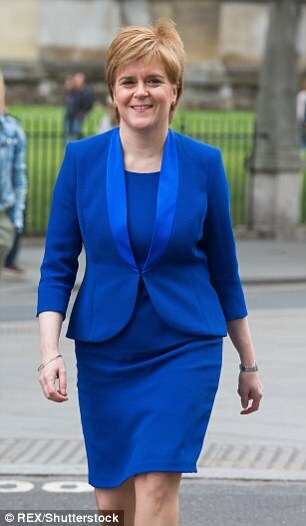 Murdo Fraser, a Conservative MSP, said: ‘Nicola Sturgeon’s always keen to stress that her civic nationalism is nothing to do with flags and banners. ‘Yet here we have her trying to eradicate the Union Flag from government buildings in Scotland. ‘This is just another example of the SNP government pushing its separatist agenda by stealth. 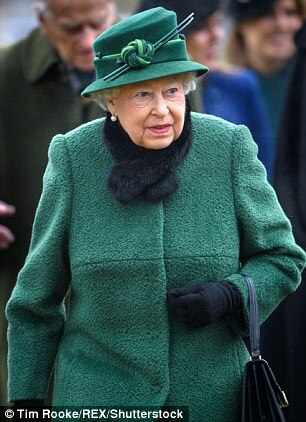 Dickie Arbiter, the Queen’s former Press secretary, said the Royal Family would take the decision in its stride. Among the sites that will be affected by the new policy will be the High Courts of Edinburgh and Glasgow, offices of the Scottish Government and other quangos and 30 key historic sites including Linlithgow Palace, the birthplace of Mary, Queen of Scots. 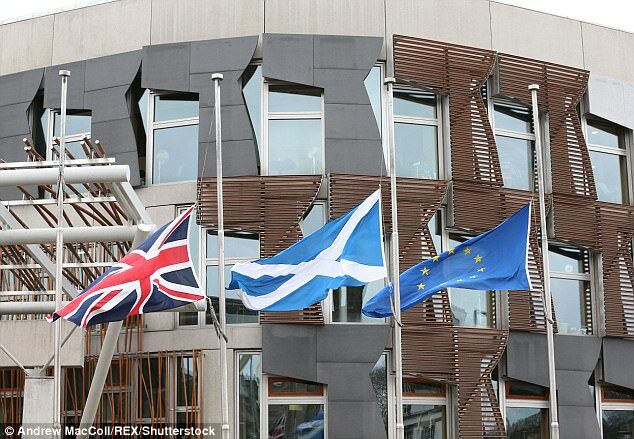 Pamela Nash, chief executive of Scotland in Union, said: ‘This is another sign the SNP government is interested only in representing the dwindling band of voters who share their obsession with independence and flags. The Scottish government sets a policy on the use of flags for its own offices as well as its executive agencies and associated departments. Other public bodies, including quangos and councils, can choose whether to follow the guidance. Historic Environment Scotland said it follows the guidance for 30 of the protected buildings where it has flags. The Scottish government pointed out that its previous policy allowed its main headquarters, St Andrews House in Edinburgh, to fly the Lion Rampant, which is the banner of the Royal Arms of Scotland, on key royal occasions rather than the Union flag – meaning the number of days the Union flag is flown there will not change.